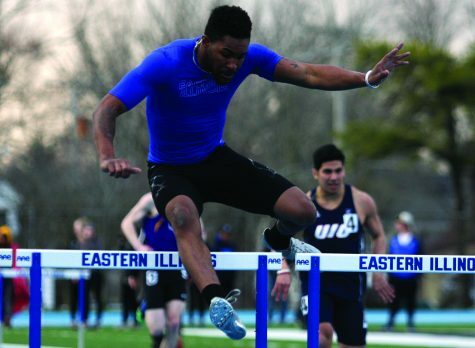 Senior Brion Portis broke the school triple jump record over the weekend, leaping 41 feet, 10 inches at the Drake Relays Saturday. Portis placed sixth overall in the event, and she beat the previous school record of 41’9.75” set by Ronesha Franklin in 2005. Portis’s record-setting jump landed her at 24th in the event in the NCAA West Region. 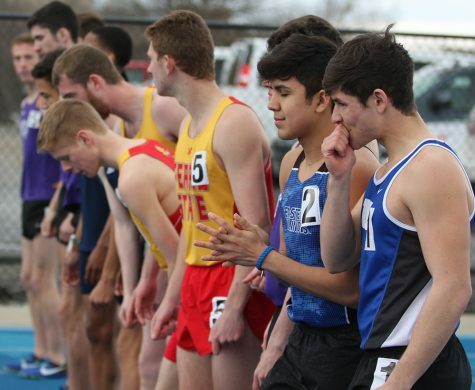 Freshman Shelby Siltman, juniors Pedra Hicks and Joe Smith, seniors Chrisford Stevens, Maria Baldwin and Riley McInerney and graduate student Ryan Pearce each competed at the Drake Relays as well. McInerney won the steeple chase with a time of 8 minutes, 55.18 seconds. He led the race from the get-go, and McInerney is currently 24th in the event in the NCAA West Region. Baldwin and Siltman both ran the 5,000-meter run on the first night of competition. Baldwin took ninth place with a time of 17:20.10, and Siltman finished 17th with a time of 17:38.65. Baldwin also posted the second-fastest time in school history in the 10,000-meter run with a time of 35:29.08. Stevens took 10th in the long jump with a mark of 22’8” followed by Smith, who took 19th after jumping 21’2”. Hicks competed in the 400-meter hurdles, taking 15th with a time of 1:02.04. 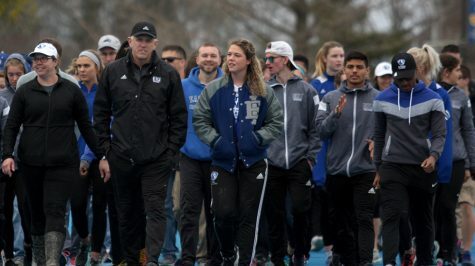 Several track and field athletes traveled to Kentucky for the Louisville Twilight meet Saturday. Freshman MaKenna Wilson moved her way up the all-time lists in the javelin and hammer throws. Wilson was sixth in the javelin with a throw of 129’11”, putting her at 8th on the Eastern career list. In the hammer throw, she earned ninth place with a throw of 155’4”, making her ninth on the school career list. Fellow freshman Dillon Birch won the men’s open shot put Friday night, and he took sixth in the javelin throw with a mark of 139’3″. Redshirt-freshman Joey Ryan placed seventh in the pole vault, clearing 13’8.25”. Sophomore Drew Meyer-Hester earned a top-three finish in the javelin with a throw of 157’9”. Sophomore Nick Phillips rounded out the field finishes with a second place win in the shot put and a third place finish in the seeded hammer throw. Freshman Tadiwa Mhonde placed sixth in the 100-meter dash, finishing in 10.65 seconds. Mhonde’s time ties senior Davion McManis’s fastest time in the Ohio Valley Conference this season. Senior Chris Orlow finished fourth in the 5,000-meter run with a time of 15:04.27. This was Orlow’s best time of the season, edging his time at the Illinois Twilight by 11.17 seconds. Eastern’s final regular season meet will be on the road Friday at the Indiana Bill Hayes Invite. The Panthers will have a one-week break before competing in the OVC Conference Championships for a three-day stint at Tennessee Tech.